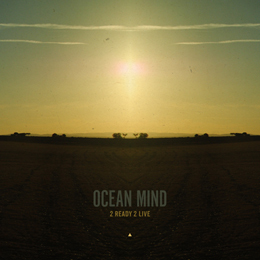 Ocean Mind is a stoner rock band that unleashes their 11 demons on the Leaders Records. They could have at least brushed of the cobwebs and the dust before recording it. 2 Ready 2 Live shows that these Greeks have the necessary musicianship and down to earth basics. The songs “Leather messiah”, “Scissor tongue” and “End of time” are injected with a lot of good solos, but listening through the whole album gets tedious very quickly as it sounds the same to me. The unconvincing vocals are a hazy mix of Mark Lanegan and Jeff Martin (the Tea Party), not my cup of tea. If you like desert rock, most of this album is enjoyable and Ocean Mind signifies another stoner band that might one day achieve something.